B104 has another chance for you to take the family to Hot Wheels Monster Trucks at Grossinger Motors Arena! 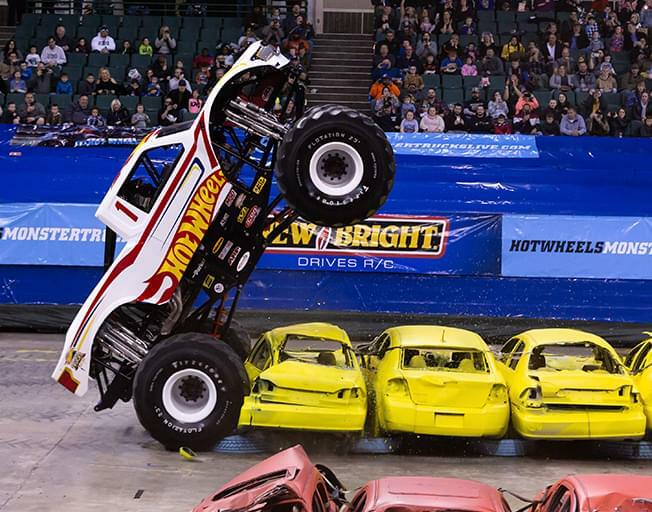 Get the kids out of the house to blow off some steam with a family 4-pack of tickets to Hot Wheels Monster Trucks on Sunday February 10th! All you have to do is listen for Faith & Hunter to open up the B104 Ticket Window this week at 7:30a, be caller 9 when you hear the cue to call at 821-1041, and win a family 4 pack of tickets! It’s Hot Wheels Monster Trucks at Grossinger Motors Arena with Bloomington-Normal’s #1 Country, B104!